Probably more than most people. More than Christmas and my birthday put together. It’s one day a year where you can dress up like a lunatic, act crazy, get candy from strangers and it’s all perfectly acceptable! What’s not to love, right?! 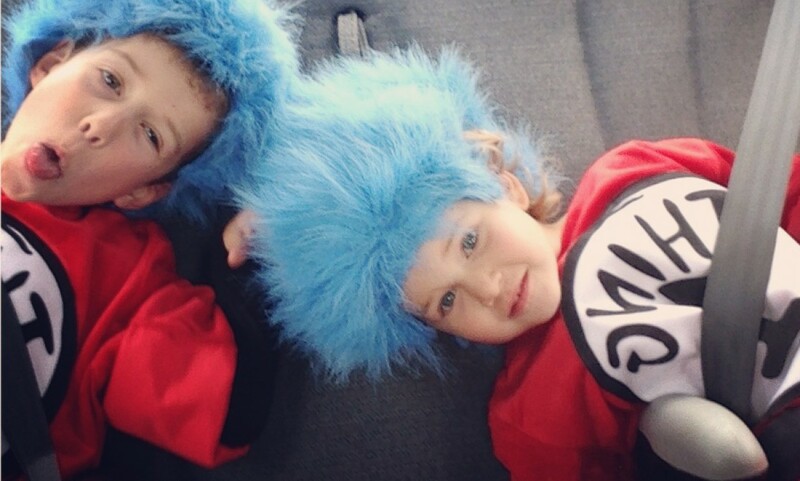 Previously I’ve been Cat in the Hat and the minions were Thing 1 and Thing 2. 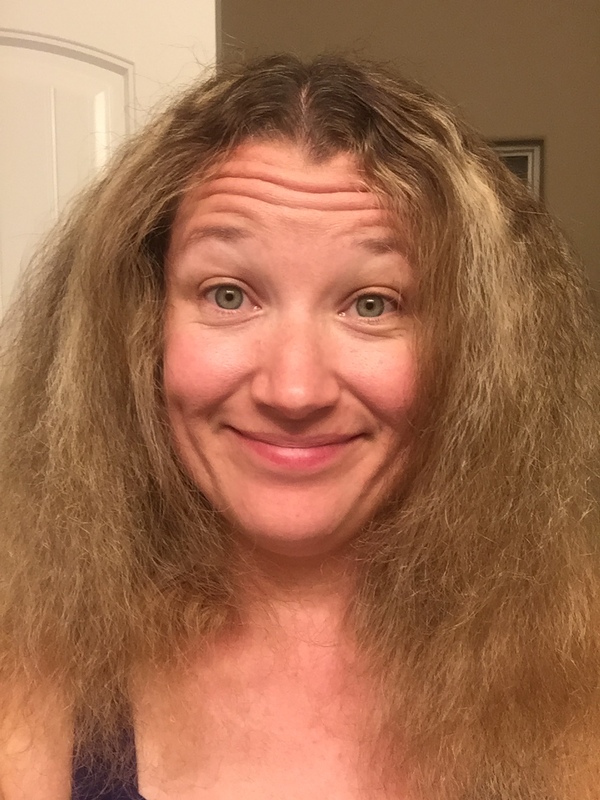 The hubby and I have done the Outlet and Plug in (and will reprise our roles this year while trick or treating with the kids). Dressing up is just fun and we get into it big time. Even as a kid, I remember dreaming up all kinds of craziness with my parents each year. At the gym, we had a Star Wars-themed dress up day a few days before the main event. 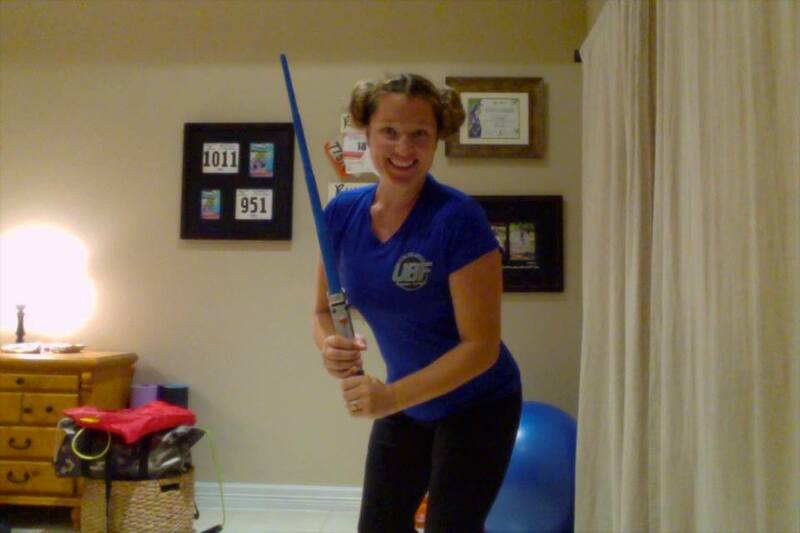 I still had clients to train, but I came armed with my buns and a borrowed-from-my-son light saber. Those buns, however, did not come without some work! 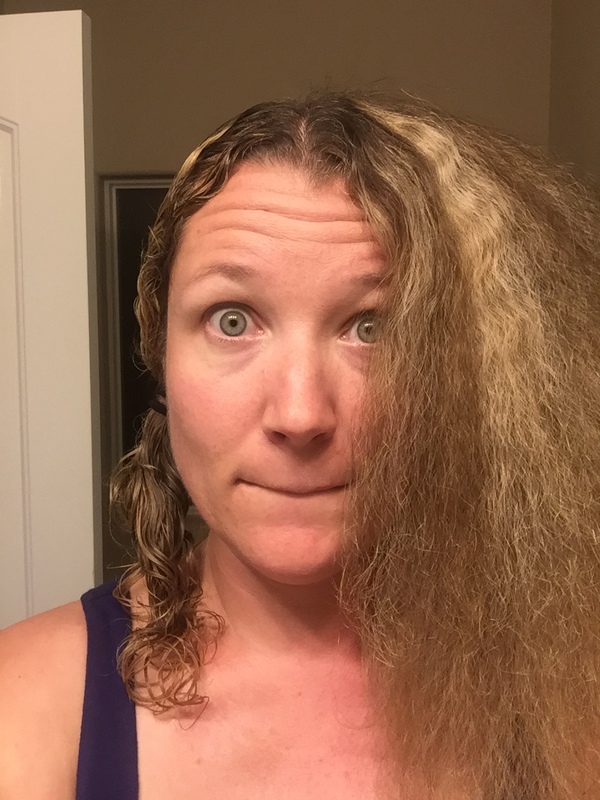 It’s been about 10 years since I’ve done this….and I quickly remembered why! We were told that we could of course dress up on Saturday – the big day. 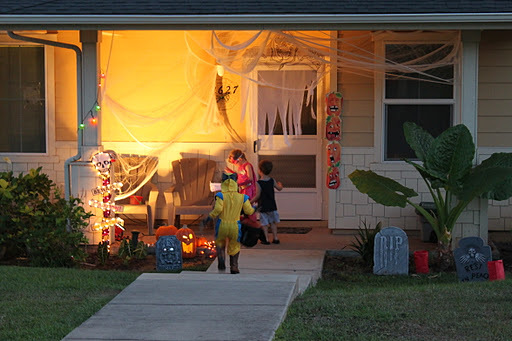 I hadn’t given it much thought, other than going trick or treating with our kids in the evening. I hadn’t planned on dressing up that morning for spin and training sessions…but then I got to thinking…. What could be fitness related, but allow me to actually train? “Let’s sweat to the oldies!!! 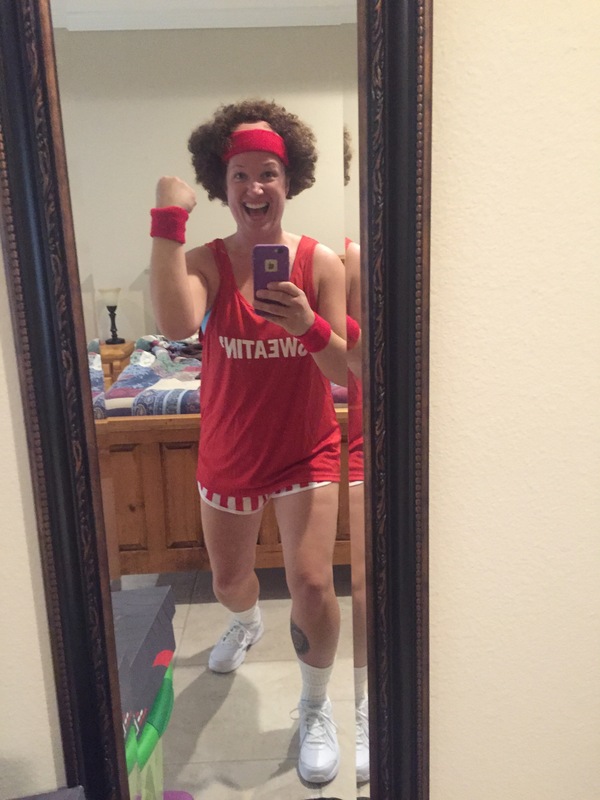 !” Thank you Richard Simmons! I didn’t know it was possible to love the holiday more than I already did! It all started so great. 5:30am, Jake is awake and trying to wake up Hannah. I lean over and whisper “Happy Halloween! 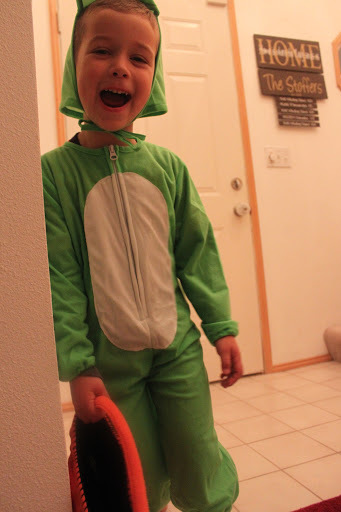 !” And he exclaims, “Oh Yeah!” And then excitedly asks to put on his crocodile costume! Sure it’s, 5:30 am, but knock yourself out! 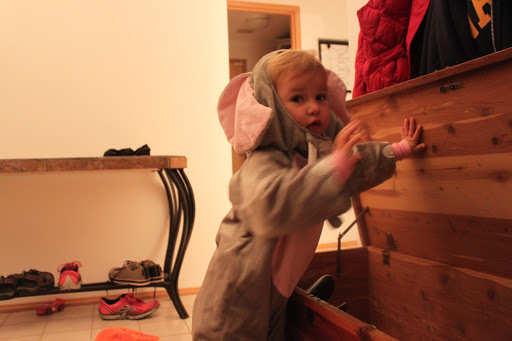 By this time Hannah is tearing down the hall looking for her elephant costume. 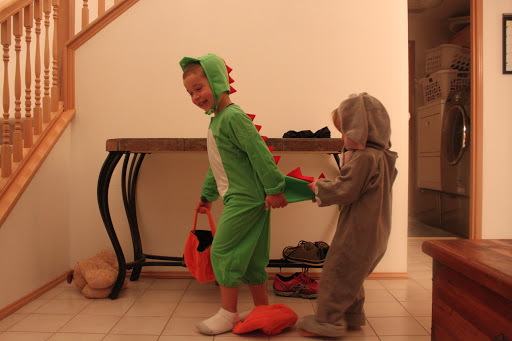 I then have to break it to them both as they are putting on their shoes that trick-or-treating starts at night. The crestfallen looks I got were priceless. Grandma comes over to workout (after the sun has risen) and stays to visit for a bit after. 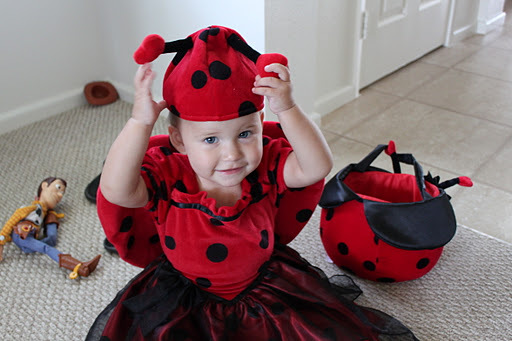 They are still doing great and excited for the festivities, running around in their costumes being crazy. I hop in the shower, my niece comes to watch them for an hour or two while I run last minute errands. Then I return home to a fevery hot mess. Poor kid. Jake needs a nap bad. Plans to do “the afternoon downtown trick-or-treating” get canceled as they finally fall asleep precisely at the time we were to leave. 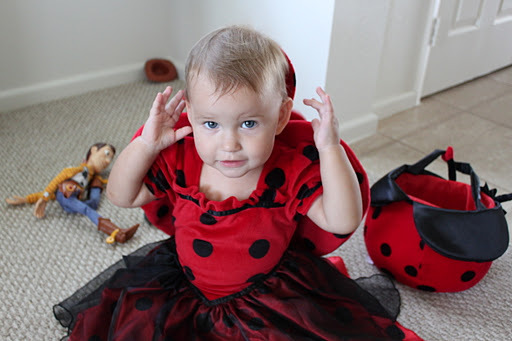 Jake wakes up and groggily announces that he doesn’t want to go trick or treating and that he feels yucky. We were invited to a friends’ party and of course, with a fever had to cancel that as well. 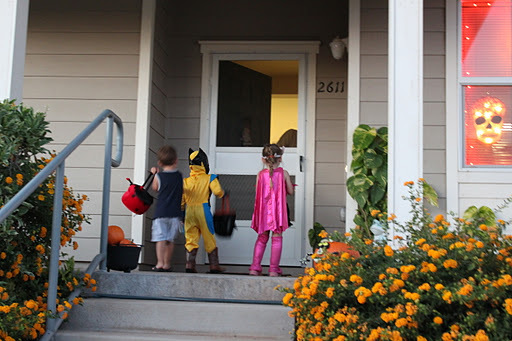 While I’m bummed that it was not to be the Halloween I had envisioned, (it was one of my favorite holidays as a kid, and still remains so) it does happen to be one more holiday to cross off our “Daddy Countdown Track” (that would be our kid-friendly countdown to daddy calendar/timeline). I also have to add that my rockstar friend Becky (the one having the party) stopped by with a yummy treat for me and the kiddos as well as a plush soft blankie for Jake – and that’s what he’s snuggling on the couch right now! SO SWEET!! 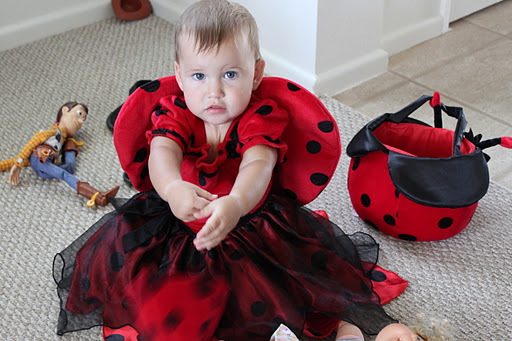 So cheers to the Halloween that wasn’t for us and here’s to next year when we’ll get to trick-or-treat with Daddy!! YAY! 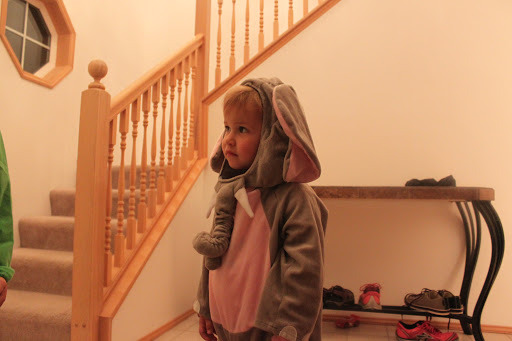 Halloween this year was interesting…to say the least. Unfortunately Eric was out of town for work, so he missed this one. She wasn’t a big fan of the hat! But I did manage to snap one pic with it on!! 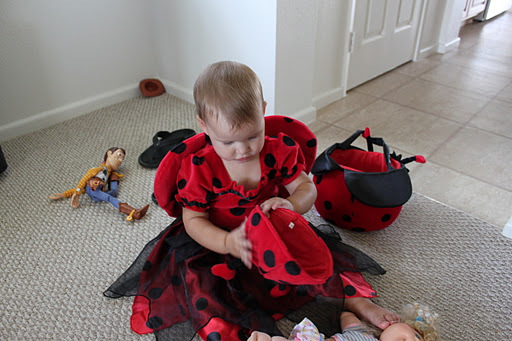 Jacob had a Woody from Toy Story costume, but refused to put it on…. 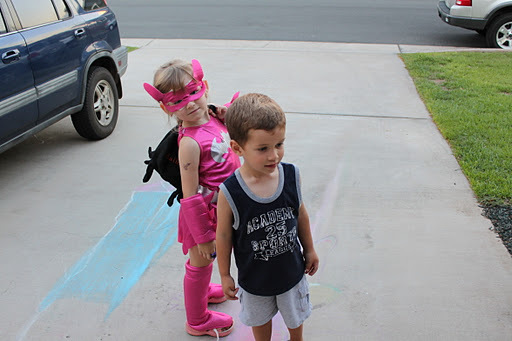 Here he is with our friend Batgirl! 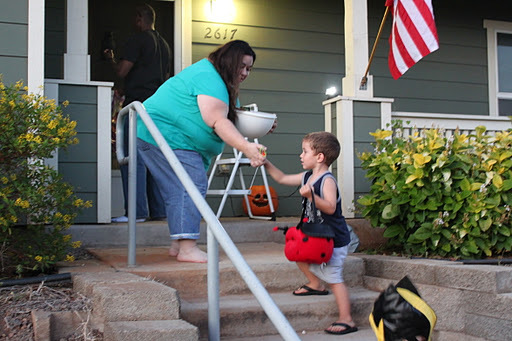 Once he figured out that he could go up to some one and simply say “trick or treat” and get candy, he was all over “doing it for Hannah”!!! It wasn’t too long and he got the hang of it!! I guess he just wanted to be himself for Halloween. 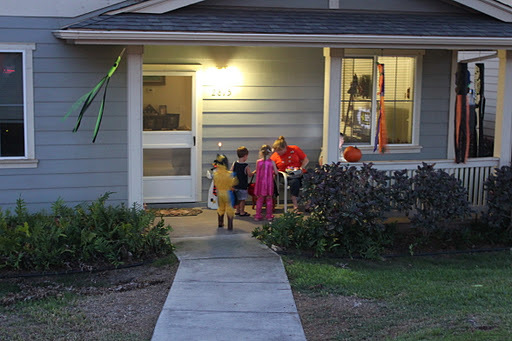 He did have a couple of pieces of candy that night, but then magically it disappeared by morning. Go figure!!! And we will be donating the remainder to the troops overseas. I am proud to say I did not partake in the candy eating at all. Quite a difference from last year when I bought candy way ahead of time, ate it all, then had to go get more!!! LOL! !